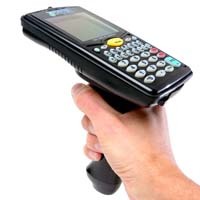 Record Management Software, Inc. offers integrated portable bar code readers that are manufactured according to rigid specifications and offer the most inexpensive bar code reader setup. 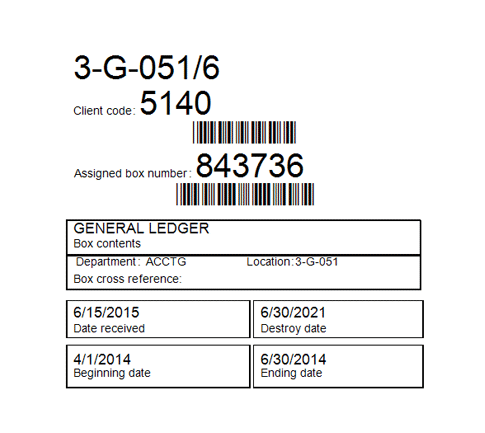 These readers yield a dramatically better read on marginal bar codes. The scanner uses a USB cable to connect the bar code reader to the PC. The use of this cable allows the keyboard to remain active and can be used at all times. PORTABLE integrated laser model of the Tricoder has a powerful, high quality laser scanner built into the top of the Tricoder case - no cables, no additional hardware - everything for laser scanning is built-in. It is so light that it is easy to aim. It can read a 10 mil bar code at 15 inches, and a 40 mil bar code at 4.5 feet. The scanner has voice prompts that talk you through your scans, eliminating the need to look at the display as you work. It's memory can hold over 50,000 scans. This is a very compact unit not much larger than a TV Remote Control.